Inuit art pops up in the darndest places! Last month in Paris, Dorset Fine Arts staffer and Studio Beat contributor William Huffman came face-to-face with L’Association Inuksuk. Operating in partnership with L’Ambassade du Canada and maintaining its office in Le Centre culturel canadien, this group is dedicated to exposing France to all things Inuit. William sat down with Sylvie Teveny to talk about how this piece of the Arctic made its way to the City of Lights. William Huffman: I was fascinated when I first heard about L’Association Inuksuk! 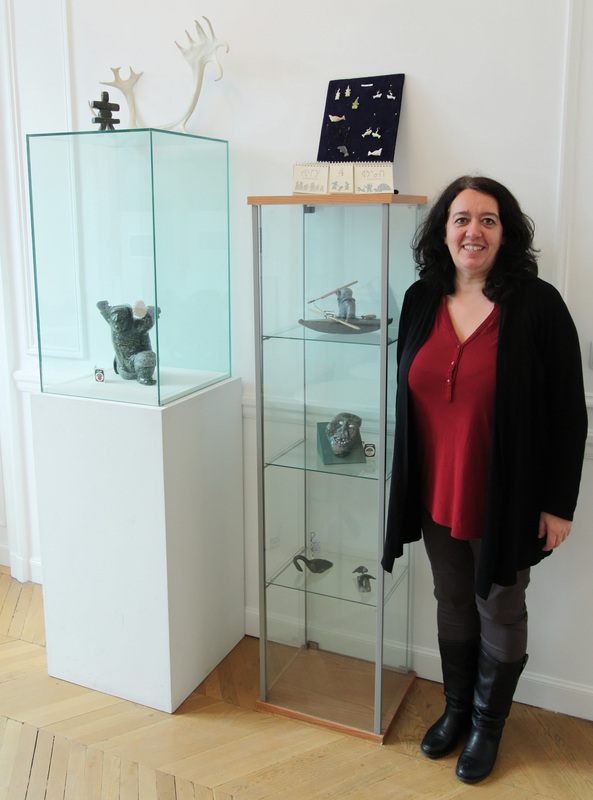 An initiative here in Paris with a dedication to the exploration and presentation of Inuit art. Can you tell us about how the group came together? Sylvie Teveny: Created about twenty years ago, our association’s goal/mandate is to promote the Inuit culture in France. The team members have taken courses within the Department of Inuit Language and Culture at the National Institute for Oriental Languages and Civilizations of Paris (l’Institut national des langues et civilisations orientales – Inalco) and we work very closely with this institute of higher education. Given growing/increasing interest of Inuit culture by the French we decided to bring together our knowledge, objects and books on the Inuit peoples, as well as some of our artworks, in order to create a better understanding of this culture here in Europe. We have been organizing projects and events since the founding of Nunavut in 1999. We all work on a volunteer basis. I understand that the group is responsible for some 100 projects taking place across France each year. Perhaps you could give us a sense of what your program mandate is and what the schedule looks like? Our team is multidisciplinary which permits us to respond to a variety of requests and to put into place activities/events intended for a broad audience, from the specialist/expert ? to the neophyte. Since 2008, we have been housed by the Canadian Cultural Centre which provides us precious assistance. Within the Centre we organize about a dozen events annually: such as conferences, screenings and talks open to the public, for example Inuit writing workshops, fine art workshops and story sessions. Outside/beyond the Cultural Centre we organize many presentations for schools/educational sector from nursery school to univerity. We also collaborate with cultural and social organizations (festivals, multi-media centres, prisons, community centres). What’s the next big Inuit art project on the horizon for L’Association Inukshuk? Apart from our events to create awareness of the Inuit culture to a broad public, one of our long-term objectives is to develop partnerships with the Inuit of Canada and specifically Inuit artists. We would like to create an exchange project between National School of Fine Arts of Paris (l’Ecole nationale des beaux-arts – ENSBA) and artists from Nunavut. The students and teachers of the department of Stone Sculpture are very interested by this project but it is very much in the embryonic state (of gestation ?). In the short term, we’re working on welcoming Malaya Bishop to Paris in February for a performance of Katajjait and we’re planning to host Tanya Tagaq in June for a performance during her European tour. With so much activity taking place, L’Association Inuksuk has lots of interaction with a broad public here in France. What is the response like to Inuit art? The French very much appreciate Inuit art, from the connoisseurs to the neophytes. From my point of view, artworks that present figures in transformation or shamanic spirits have the most success. We are constantly being solicited with proposals for conferences on the theme of Inuit art. Some of my colleagues, art historians and specialists in Inuit Art respond to these requests. 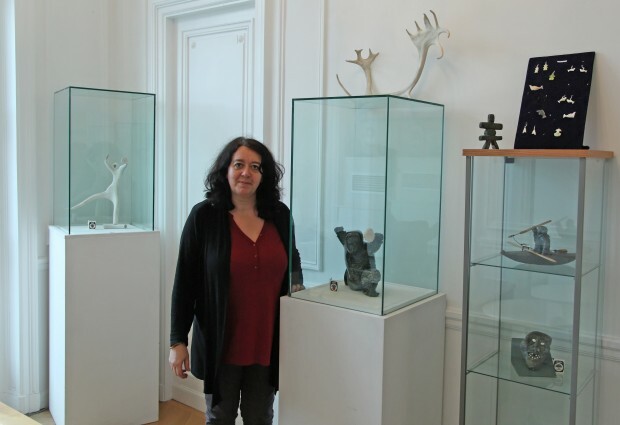 For the organization of Inuit art exhibitions we work closely with the Inuit Art Gallery of Paris, which owns a magnificent collection of work and the Director, Maryse Saraux, is an expert, herself a passionate collector of Inuit art. Now, I heard that you speak a few languages – one in particular is quite unexpected! Maybe you could close the discussion by telling us something about the L’Association Inuksuk in Inuktitut? Inuktitut uqagalaapilangagama kisiani inuktitut uqarunnapunga mikijumik. Inuit piusingilu, uqausingilu pimmarigigattigit. Asuila tamanna Association Inuksuk saqqititaularmat. Amisugalaanik sanannguagalik. Amisunik takujaksalik, ammaluttauq unikkatuaqattasuta. Ammalu qanuq Inuit titirasuungummata ilinniatitsiqattapugut qanuijaaqpait aturlugit. Piujualuk ! Qujannamiik ! I will briefly speak in Inuktitut but I can only speak few words in Inuktitut. Inuit tradition and their language are very important to us. For that reason, the L’Association Inuksuk was established. [At our office], there are quite a few carvings and lots to see and also [we host] storytelling. Further, we teach Inuktitut writing using Qaliujarpait (Roman Orthography). Thank you very [much]!